This summer, don’t be without a bright bold lip, or intense eyes no matter what the occasion is! 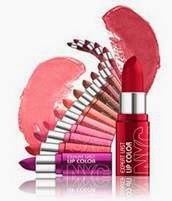 Be sure to carry new NYC New York Color lip and eye products to complete any summer look! About: Moisturizing, longwearing lipstick in attention grabbing colors. Intense New York days call for color that’s just as exhilarating. Get a kick of high impact color with new Expert Last Lip Color from NYC New York Color. Infused with a touch-of-silk, the creamy, rich formula glides onto lips for a smooth, velvety finish that doesn’t feel sticky or slick. Packaged in color-matched tubes that let you find your favorite shade in a flash, the ultra-long lasting and conditioning NYC New York Color Expert Last Lip Color stays on for up to six hours. Lightweight, soft and silky lip color. For the ultimate kissable pout, NYC New York Color brings you new City Proof Twistable Intense Lip Color, combining a soft, velvety finish with long wearing color in a twistable chubby stick. Highly pigmented and will perfectly outline lips without bleeding or feathering, giving you amplified color and shine that lasts up to five hours. Non-greasy or sticky, this lip color glides on easily for the perfect way to turn up the glam on your everyday look. Have you heard? Black is back in the city! With an intense dark color and a beautiful sheen, NYC New York Color's Showtime Velvet Eyeliner glide softly to dress up your eyes in velvet. Available in Red Wine, Brown Black, and Black Velvet.